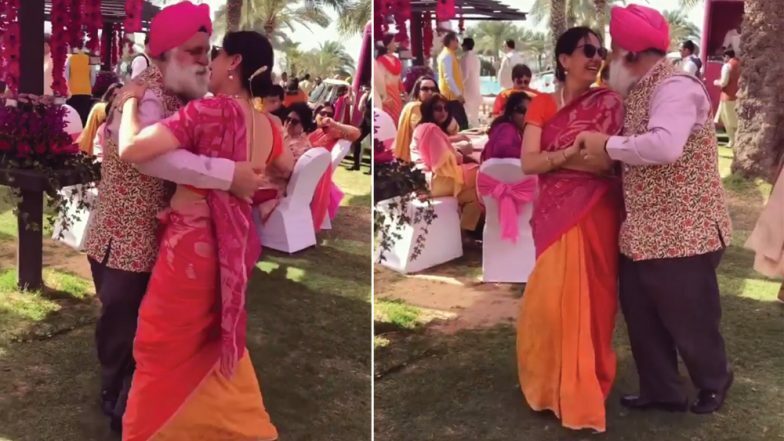 The elderly Punjabi couple who went viral a few months ago for their dance moves is back at it. The duo had become famous after their daughter Gitana Singh shared their dancing video on social media a few months ago. And once again, Gitana has shared a video of her parents dancing on the occasion of her mother's birthday. Dressed in shades of pink, the duo can be seen showing off their dance skills. This time it is Punjabi song Lamberghini that the couple is seen grooving to. The recent video has garnered more 1.6 lakh views on Instagram and continues to be widely shared on social media. The comments section is filled with people praising the couple's dance moves. People also wished them health and wealth. One of the comments read, "God.. They r so adorable... They have set a serious couple goals for everyone... U r so lucky to have such sweet parents.. Can't take my eyes off." Another says, "mg..these rockstars are your parents...proud girl. Pls convey my regards and hopefully I will be able to dance half as good as them when I am that age. Bless."